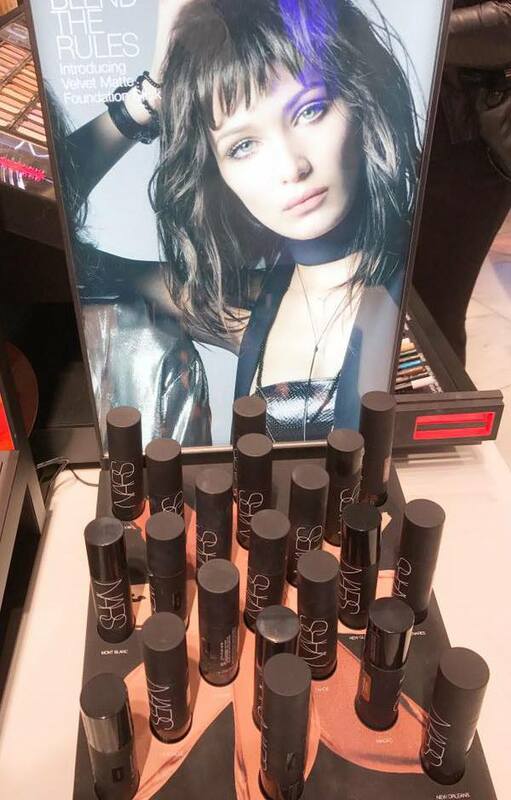 Last week I passed by NARS Cosmetics counter at Harvey Nichols. You know the craziness of Fenty Beauty launch. 🙂 So while I was there, I wanted to do a few swatches for you. I posted LIVE SWATCHES on Instagram but since I got more questions, here is a quick review. 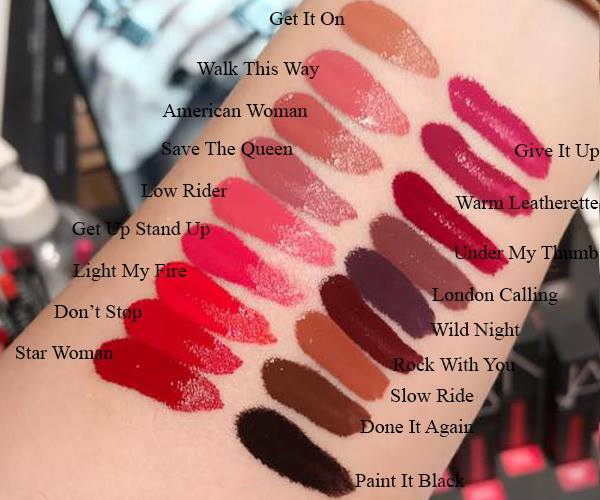 I did match each swatch to their name as you asked me so enjoy everything right after the jump! 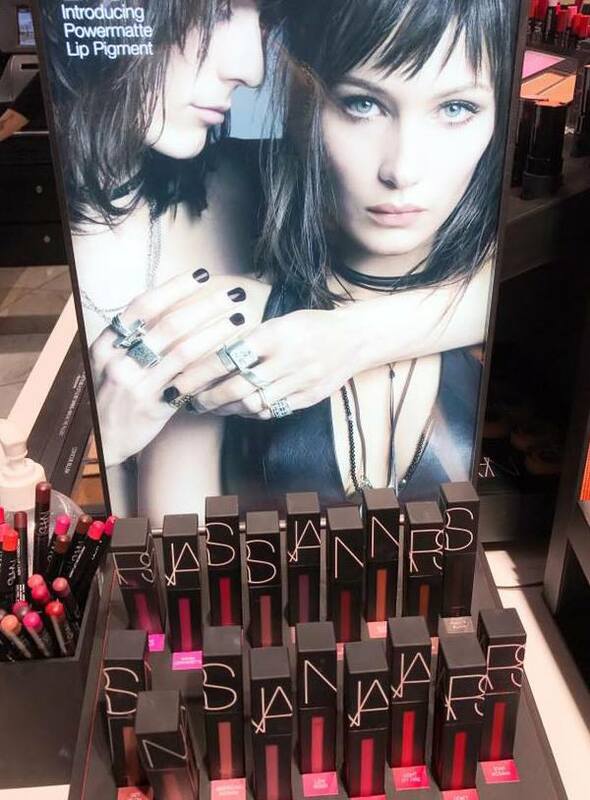 Don’t forget about the launch of NARS Christopher Kane Collection on 18 September! 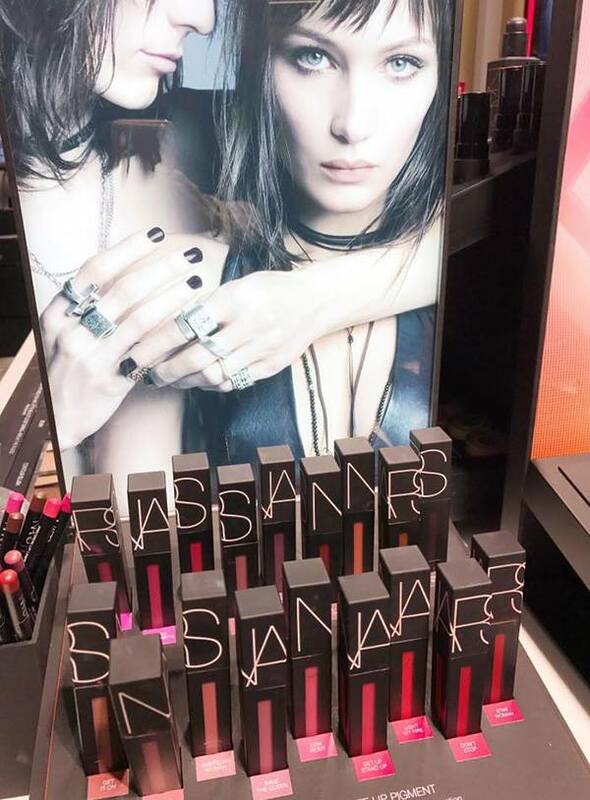 NARS Powermatte Lip Pigment ($26.00 / £23.00 for 5.5 ml / 0.18 fl oz) is a new and innovative liquid lip pigment. It comes in a wide range of colors with ultra-flexible, lasting wear formula. The pigmentation is top notch, colors are very intense and leave a stain behind. Make sure to shake well the tube so you can mix the pigments before you open it and apply. The formula is thin, fluid and very liquidy but it dries down to a matte finish. For me the applicator was the only thing I didn’t especially like, because I’m more for the classic doe-foot applicators. 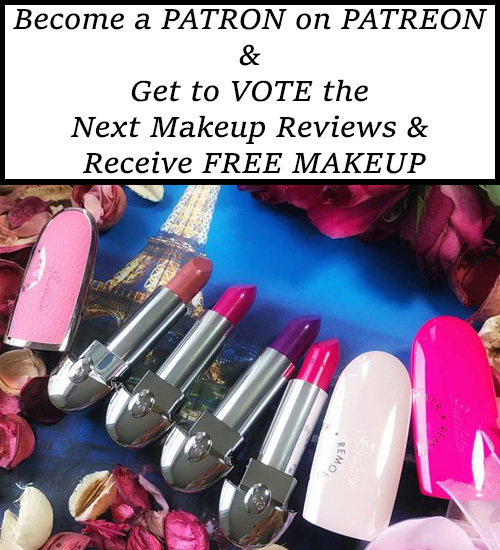 It has a pointed tip which provides a precise application, it’s especially useful around the lip line. I admit that with its precision tip it can easily double as a lip liner. The color payoff is impeccable, texture is very light, color smudge-proof. 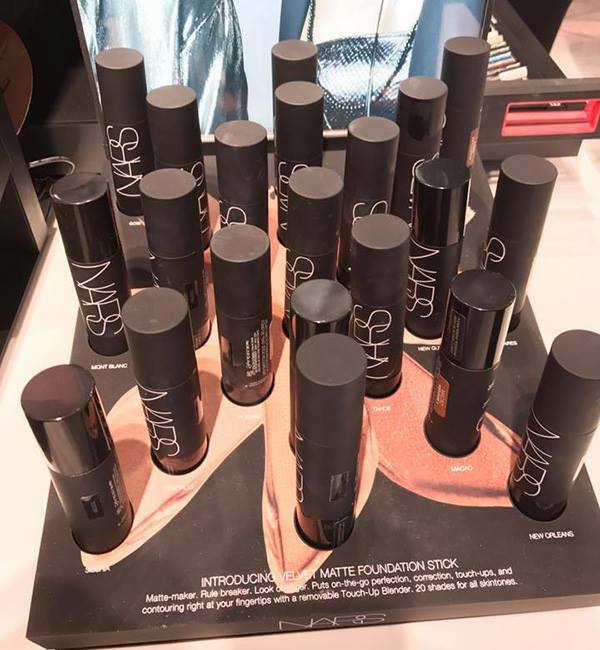 I tried a few shades of NARS Velvet Matte Foundation ($45.00 / £30.00 for 9 g/ 0.31 oz) as well. There are 20 shade available and it’s suitable for all skin types. I like the idea of a foundation stick, but it’s nothing I’ve never seen before. I have a foundation stick from Numeric Proof that I really enjoy and I wished that more brand will come up with touch-up blender versions. The great thing about this type of foundation is that you get the full coverage and a natural airbrushed finish at the same time. It has such a creamy texture, very light feel and it’s easily blendable. 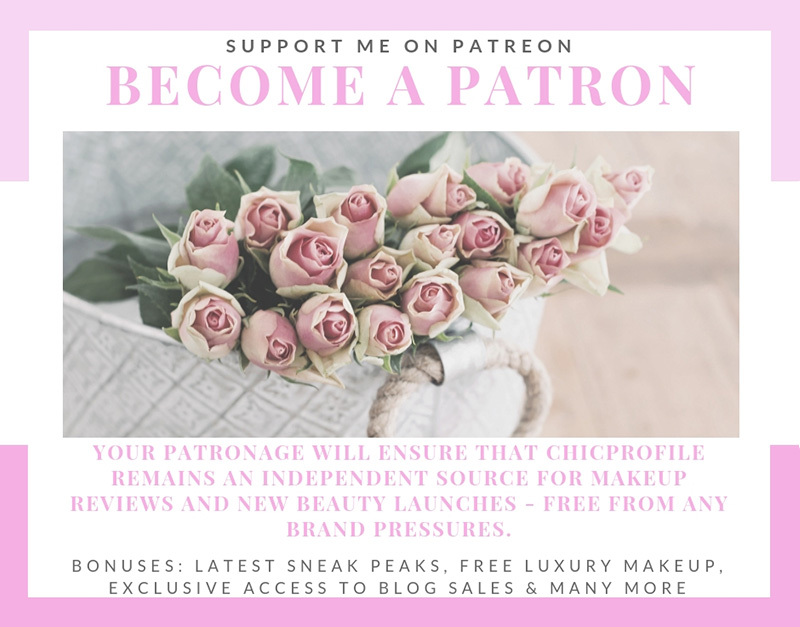 You can use it as a concealer or for contouring as well if you get lighter or darker shades. You just quickly draw the lines on your face and blend it easily. NARS Velvet Matte Foundation has a really good coverage, buildable if you want. It has a soft matte finish and a formula that prevents creasing by adapting to movement without settling into lines or wrinkles. 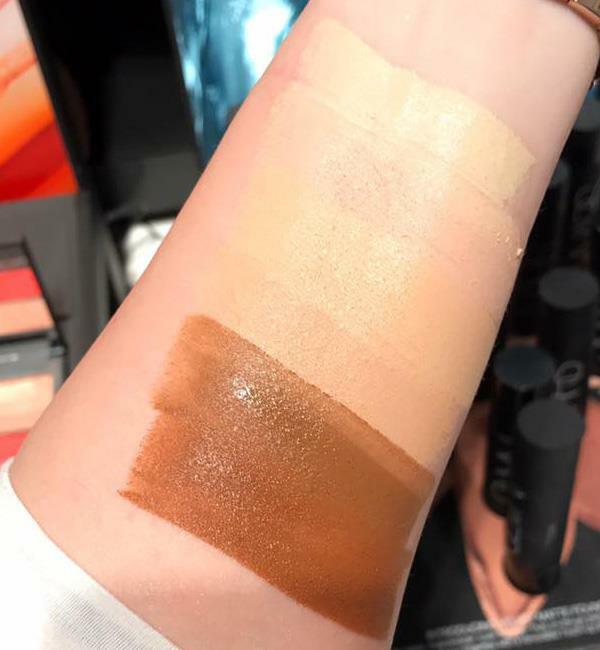 I only swatched the foundations on my hand and play with the formula but I didn’t applied on my complexion. A foundation like this can easily be applied with your fingers, beauty blender or the incorporated touch-up blender.